Welcome to mmotank to buy MS2 mesos. I am happy to introduce the maplestory 2 download and playing guides. Hope this article is useful to you. When I say Playing in the title I mean creating and ONLY creating a character. The game is not at full release until July 7th. Ths thread is for those individuals struggling to create an account or having issues with playing the game. The first wall of text will be: Account Creation; 2nd wall of text will be Downloading the game; 3rd wall of text will be verification without verification. You’ll understand in a bit what that means. I recommend reading EVERYTHING. Im sorry it looks like a lot.1. Get to the home page again; if you’re not already its the same URL as 1. of Account Creation. Above GAME START login with your ID / PW. You may be redirected to a login page. Use your email and PW this time to login. You may be redirected a 3rd time for Account Security, this page has 3 text boxes. Top is email, Mid is PW, Bottom is security code. Hit the pretty blue button to login finally and be redirected again to the home page. IF you are not redirected to the home page you will be on the Nexon Member page. This is the account verification everyone is talking about, but it is NOT REQUIRED which is addressed in the next section. At the top right of your screen will be 2 grey words side by side. Click the Left one to go back to the Nexon Home Page. Scroll down and Find the MS2 button to go to the MS2 video page and hit the MS2 at the top left to get back to the home page. From here go through the login process again and you should be brought back to the home page. After logging-in look at the GAME START button. Click the bottom third of the hexagon to be redirected to the Downloads page. CLICK DOWNLOAD 01, NOT DOWNLOAD 02. After hitting it a box will prompt with a wall of text followed by 2 circles and 2 buttons. This is the download confirm. Click the left circle to agree and the orange button to ok the download. Proceed through the normal download functions your system has hitting all the runs’ and yes’ you do with a normal download until a pretty Maplestory 2 Box with a bunny girl appears. Wink back at the bunny girl. 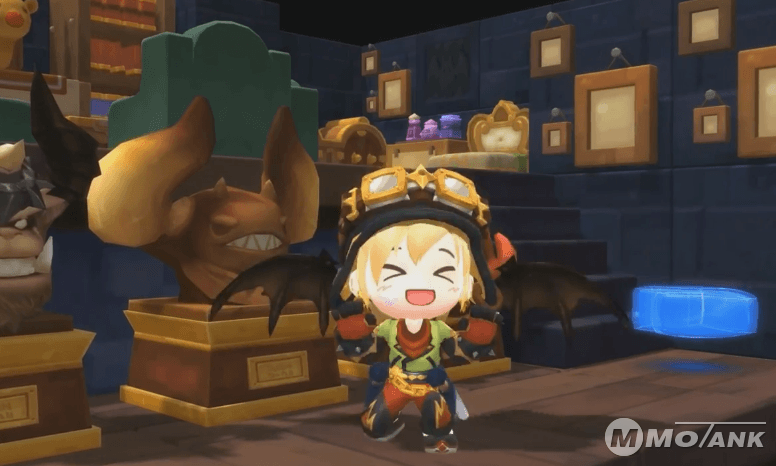 At this point you should have the installation box up with the cute maplestory 2 chibi’s. Stare it with all your pent up hype and watch it tick by for what feels like a life time. Once it completes it will change on its own and have a monitor looking thing with a blue check in the bottom left and blue button on the right. Click the blue button and the box will close. Installation done. During your playing, if you has Maplestory 2 mesos demands, you can purchase from mmotank.com. For all players who buy MS2 mesos from us, we will provide the best service and cheapest price and fast delivery.